I have no idea. But I do know is that today I was seeing red. Tomato red that is. As the end of August approaches, it brings with it many things. It’s sort of like New Year’s Eve but for the summer. 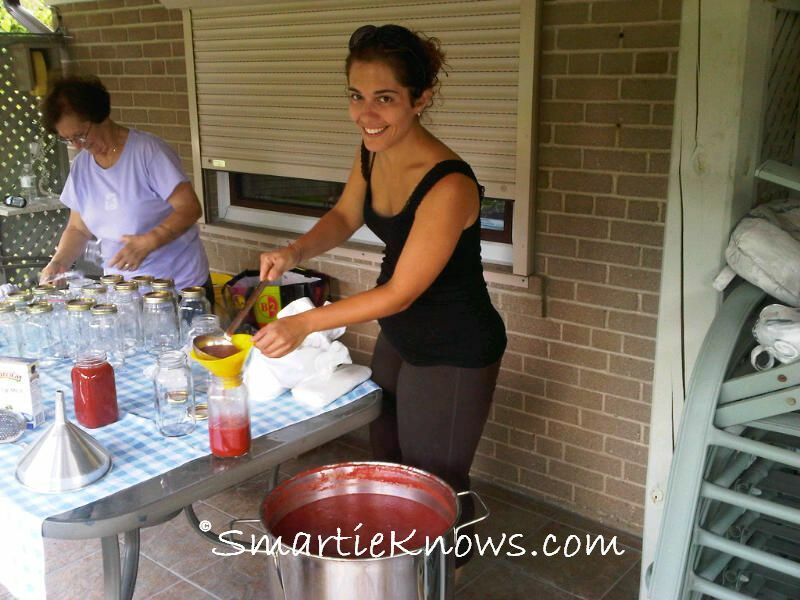 It marks the start of school, the soon to arrive autumn, and for us of Italian background, it marks tomato sauce time – my dreaded time of year. 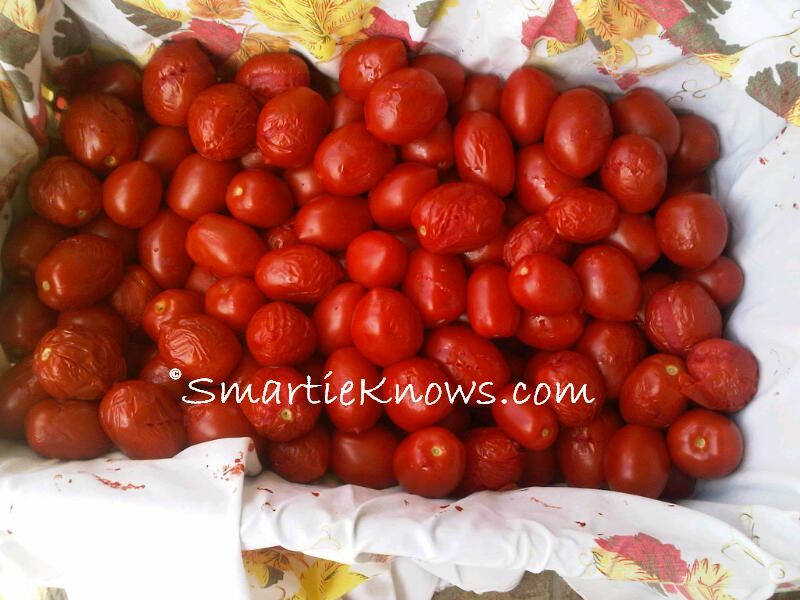 I hate “doing tomatoes,” as us Italians put it. I hate it with such a passion. In the past I used to do anything to get out of it – complain that I was feeling sick, made sure that I was scheduled to work on that day, and while I was married I even convinced my ex to go help my parents while I watched our daugther as she was too young to be around this sort of thing. Today we filled about one hundred jars for two families, and we were about five adults working. And it was a lot of work. I received a comment stating “I hope you’re enjoying it because it’s about a dollar an hour for your time.” Sure that may be the case, but you know what? I was in for a pleasant surprise. It wasn’t anything like I remembered. Mind you, it has been about seven or eight years since I’ve last helped, so I guess you can say that I’m seeing this differently now. I enjoyed the work, the company, the experience and most of all seeing my daughter get into it. What a day! Knowing that we all worked together like a community to make something from scratch, something wholesome felt really good. So it working out to be a dollar an hour for my time isn’t a correct estimation. This experience was priceless. There were three generations of people working together today towards the same goal. It was awesome. My daughter learning the ropes from my aunt and Mom. 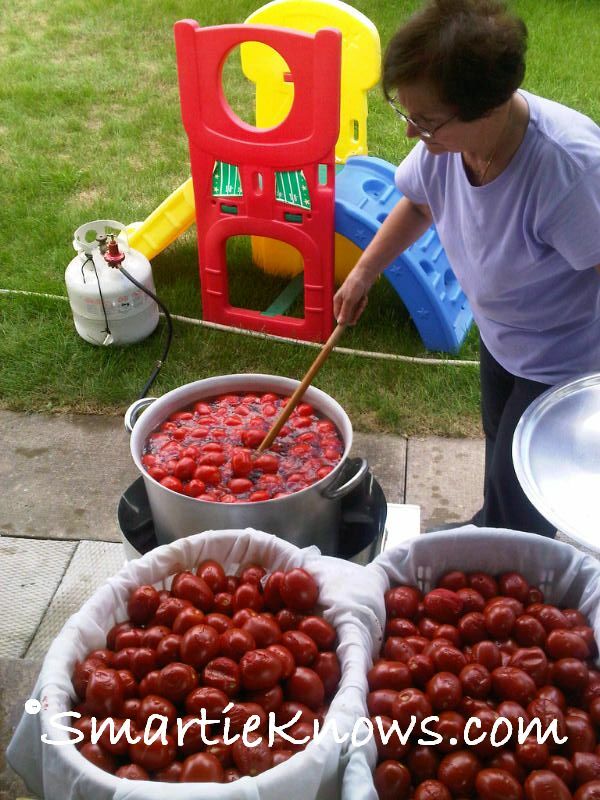 First, my aunt and my daughter washed the tomatoes in a bin together. 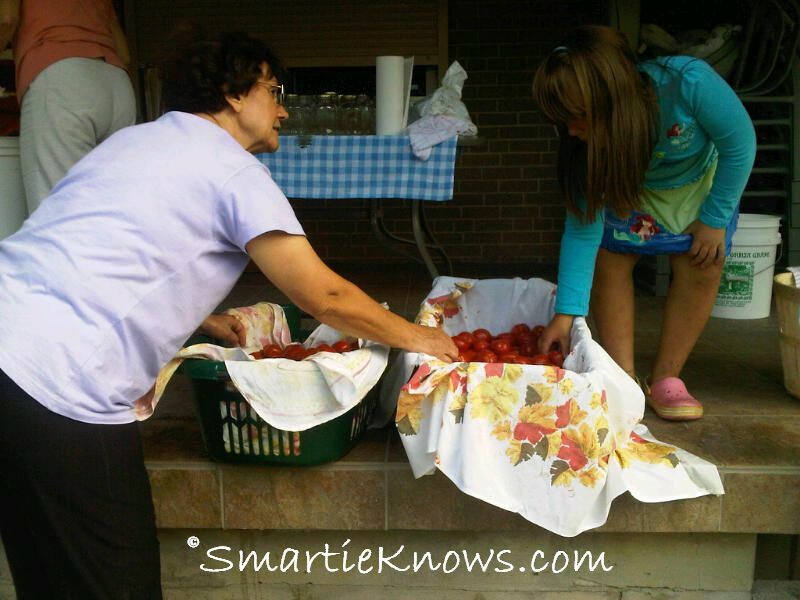 Then my Mom and daughter lined them up, to get them ready to be partially boiled. The next step is to boil these little suckers until they almost split. Once taken out of the pot, some do actually split. The ones that don’t you stab them with a fork. Kind of like what you do to a potato prior to putting it in the microwave. 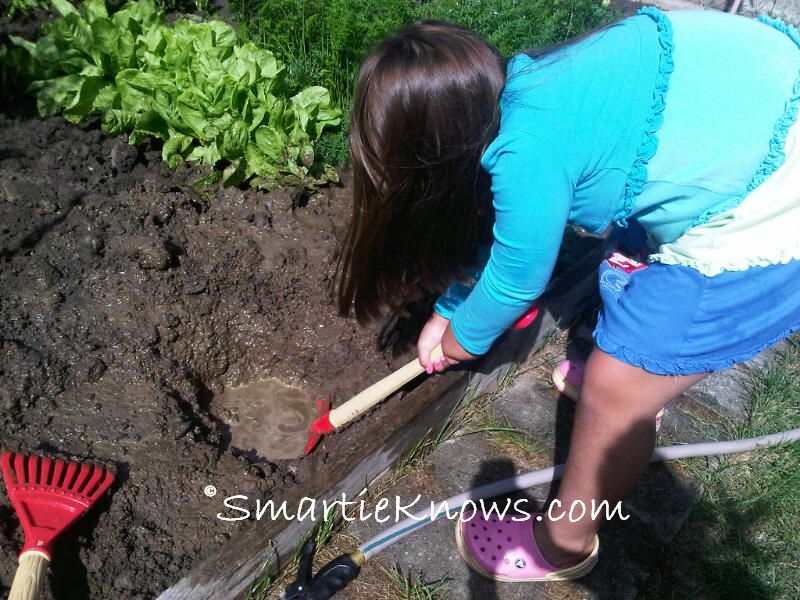 At this point my daughter decides to take a break to tend to her garden. Nothing like teaching her where the food comes from, what it takes to grow the food. Not “it comes from the grocery store” like I’ve heard from other kids in the past. 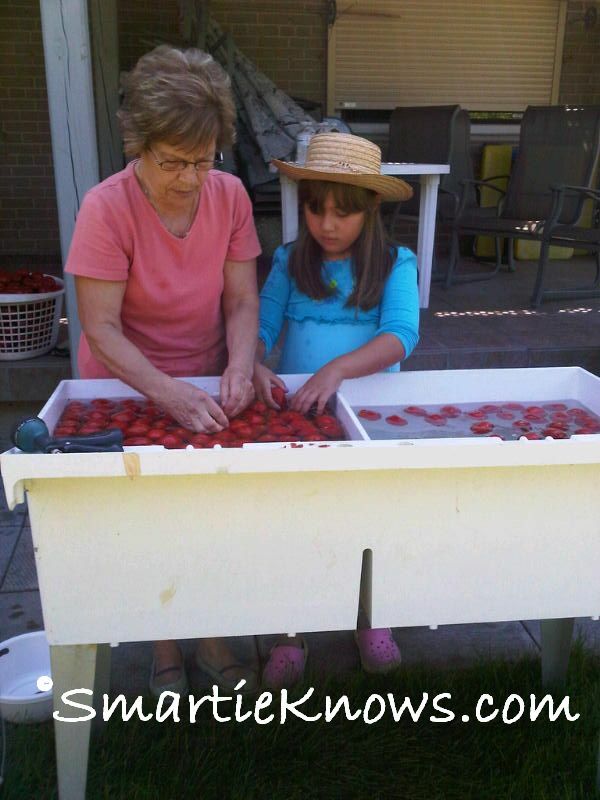 Those of us not taking a break got to press the tomatoes. 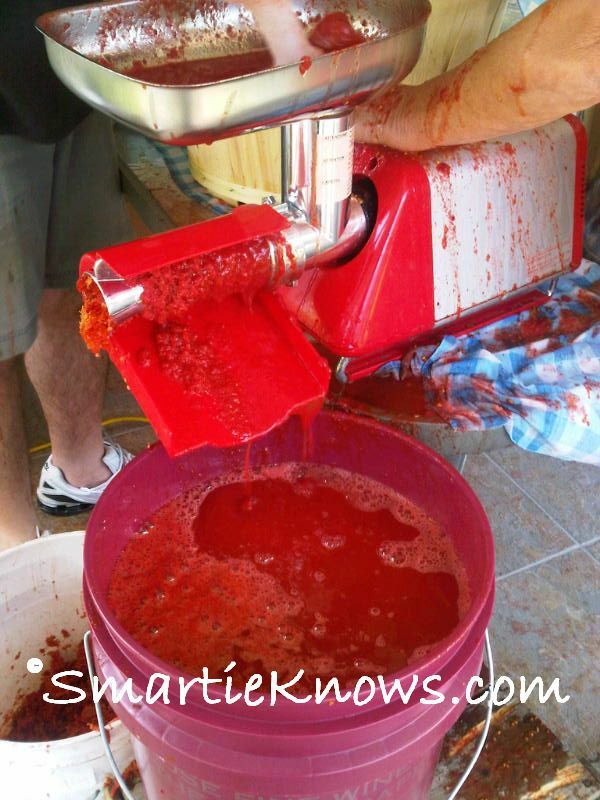 You put the tomatoes into this little machine that separates the pulp from the skin. This is the messy part of the job. Check out the juice!!! 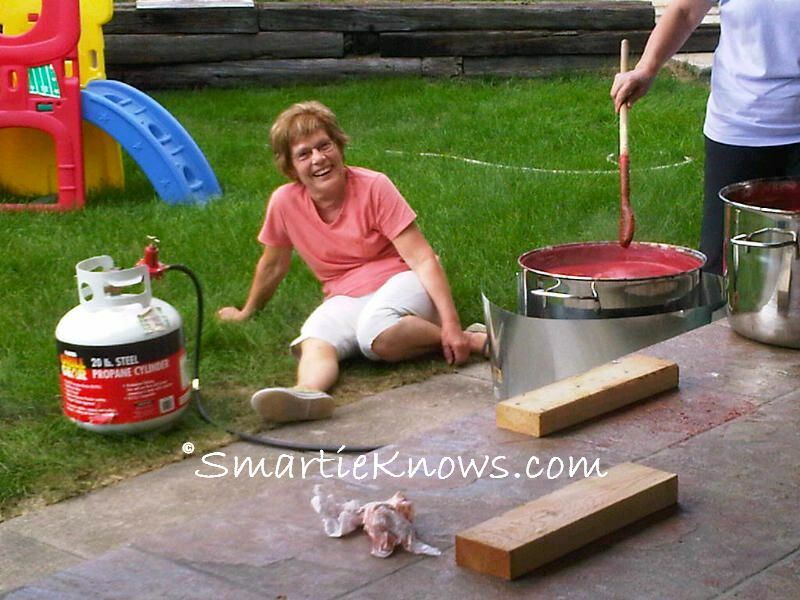 Next, you put the juice back into the pot and let it boil for about ten to fifteen minutes. This thickens it up into a nicethick sauce. 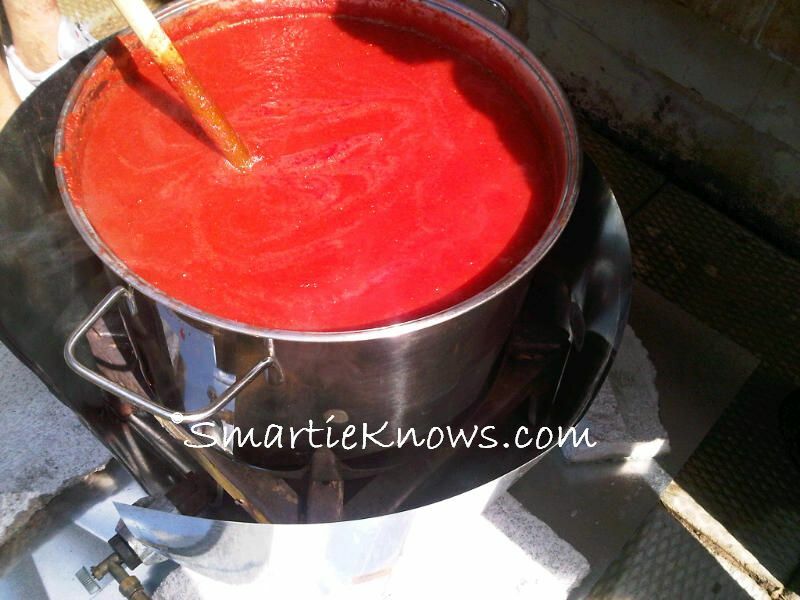 That pot holds about twenty five liters of sauce! Try picking that baby up once it’s ready….which we had to do. And while the first batch is cooking, we line up the empty jars and uncap them. It’s all about efficiency you know. 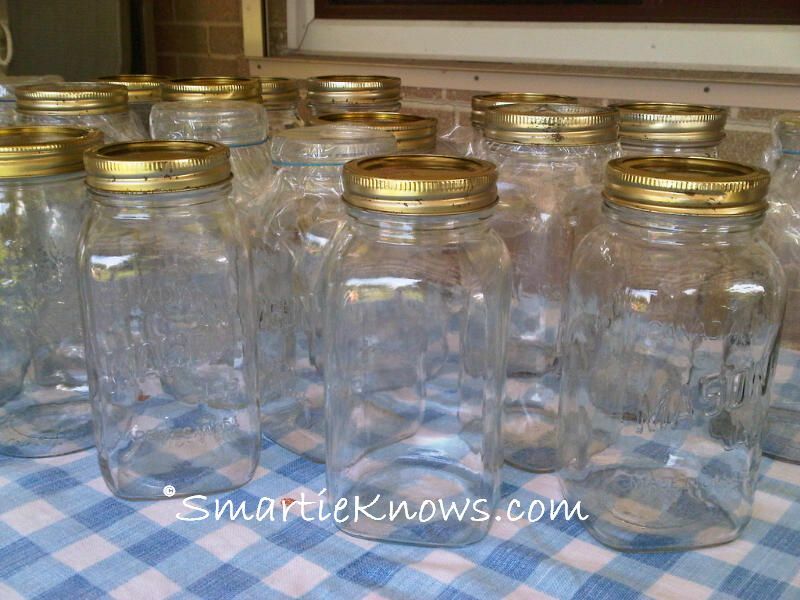 Once it’s ready, those who were lining up the jars get to fill them. And this is the final product. Isn’t it beautiful? 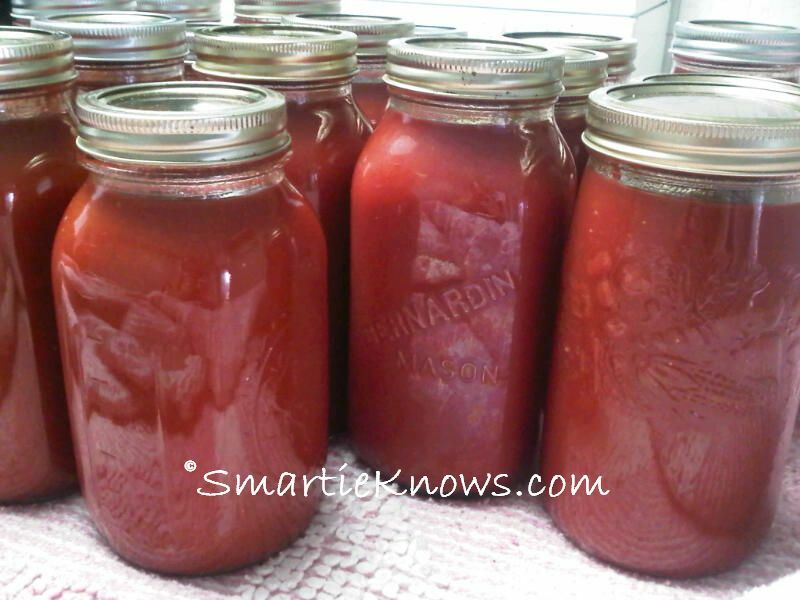 Imagine having nice homemade tomato sauce with your pasta in the dead of winter. You can taste the freshness of the summer in your meal. Of course, the memories of having a good time, being with family, bonding. That’s what this is really all about. It’s all in a day’s work. And having a good time.